Almost in every society, gift giving is a symbol of closeness and serves the function of maintaining a good or healthy relationship between one another. In Japan, gift giving is not only a habit but a strong custom that had been passed down from one generation to the next generation and carried on in keeping the complexity of past tradition. Though in the present the hits may have changed from very traditional items to modern day presents yet the tradition continues. There are many gift giving occasions that exist in a Japanese society. Each of them have completely different rules and complex etiquette which might appear confusing to a foreigner, who would like to follow these gift giving occasions in Japan. One might find some special gift giving occasions of Japan that maybe similar to ones home country. But the same gift giving occasions will have a completely different outlook in Japan. The customs and etiquette that adhere to gift giving in Japan, if neglected may lead to misunderstandings between you and your colleagues/friends. Mere goodwill is not enough to maintain a good relationship with your fellow Japanese friends. Luckily in Japan, if there is a tradition or custom, there will be a guide for its etiquette which will help you to understand the culture better. Here are several gift giving occasions in Japan and a guide to the proper etiquettes and mannerisms for each of them. Read carefully to follow the rules, before you spend your money at the nearest gift store. Ochugen (お中元) can be considered as a mid-year present or mid-year gift giving tradition. This is because this gift giving tradition started around the 15th of July. Ochugen is the most famous occasion for gift giving among the other major gift giving occasions in Japan, Japanese people will send a present to their relatives as a gratitude and a sense of compassion for those they are indebted to or consider to be indebted. Edible products can be considered as a great Ochugen. In general, the popular products that have been selected as an Ochugen is a commodity product that are produced by the local factory or local production agency and can be delivered directly from the factory to the recipient of the Ochugen. This kind of product is often known as Sanchokuhin. If you are unable to afford a Sanchokuhin, you have other options too. For example you can reserve beverages such as beer or Japanese Sake as the Ochugen. As this gift giving period happen to fall during the summer months, beverages or similar products are highly recommendable. The price for Ochugen might vary from a minimum of 2000¥ to 5000¥ and can go higher. It all depends on how close a relation is between the one who is sending the Ochugen and the one who is at the receivers end. The closer the relationship, the higher will be the price tag. After you have selected and bought the product or the gift finally finishing it with a beautiful wrap. Do not forget to attach a Noshi. It is a special piece of paper which you will use for writing your name as the sender of the Ochugen. The Noshi above will determine an ordinary gift for an Ochugen. The prettier the Noshi the better the gift or Ochugen that comes with it. Actually Oseibo (お歳暮) is almost the same as Ochugen, only the gifting timings for both the occasions are different. If an Ochugen is considered as a mid-year tradition, then the Oseibo is the year-end gift-giving tradition. The Oseibo gift giving period begins from 20th of December every year. The manner and rules of preparing this gift is almost the same as the Ochugen. Any edible product or beverage maybe used for an Oseibo, the only difference will be the Noshi. The characters of Oseibo (お歳暮) in Kanji should be written at the top section of the Noshi that is being used for an Oseibo. It follows the same function to determine an ordinary present from an expensive one similar to that of the Oseibo. Well here is your answer; Oseibo serves the same purpose as the Ochugen; to express gratitude towards people to whom we feel indebted to during the year. However it is completely different from the Christmas presents. The recipients of Christmas presents are usually only family members or relatives of the family and your significant other, while Oseibo is usually given to people at the work place, and any other person who has had a significant influence for taking care of you during the year. 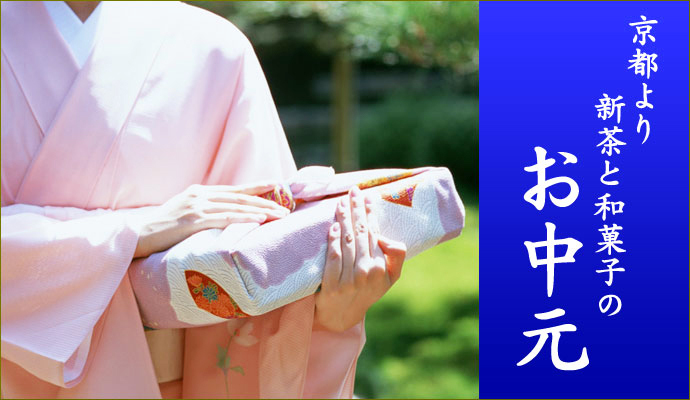 At the beginning of a new-year starting from the 1st until the 3rd of January, all adults in Japan will give a certain amount of money to the children or their younger ones as a gift. This gift-giving tradition is called Otoshidama, and is usually given whenever the elders visit friends or relatives’ houses with children. It should be noted here that giving coin is strictly unacceptable, only bank notes are allowed for Otoshidama. 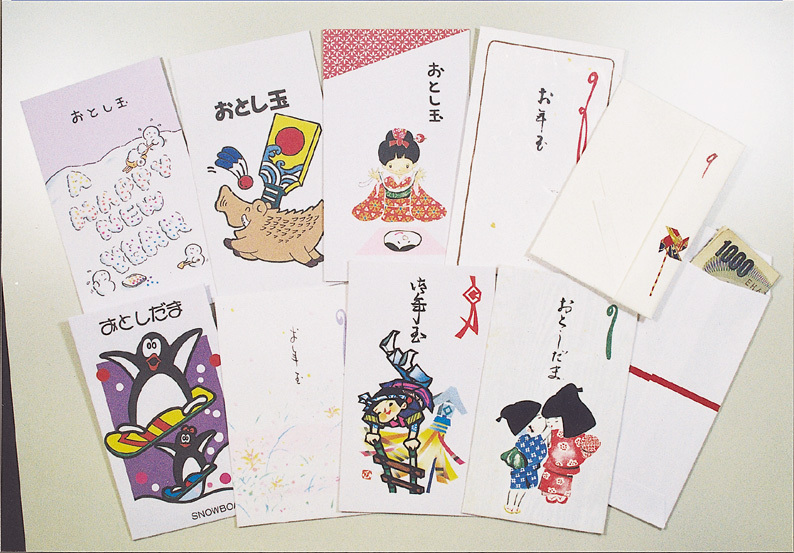 The bank note should be folded three times and then put it inside a special Otoshidama envelope that come in a wide variety of colourful and cute pictures. The minimum amount of money for Otoshidama should be 1000¥. It also depends on the age of the recipient, the eldest child generally receives the highest amount of money but nowadays all the children get the same amount of money for Otoshidama to avoid any issues between siblings. According to Kumon children research institute in Japan, the elementary school students in Japan could collect an average of up to 5000¥ while the junior high students and high school students could collect an average of 10000¥!! That much awaited time of the year for children. Sounds so similar to Santa bringing gifts for children at Christmas, the difference being children can choose to buy that gift or save that cash for other purposes in Japan. A good way of teaching financial management at a young age. After you get back from a trip or when you visit one of your friends in Japan, it is better to bring a souvenir as a gift to express gratitude for his kind gesture of welcoming you during your trip or awaiting for your return when you have been away on your trip. The gift for this occasion is called the Omiyage (お土産) and is well known as souvenirs globally. It probably is the most common gift giving practice that is widely accepted in many cultures besides Japan. 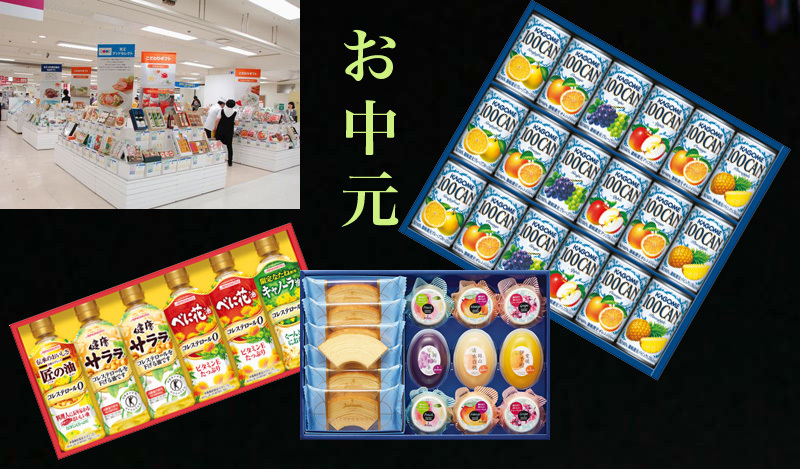 In Japan, Omiyage include a wide variety of products. 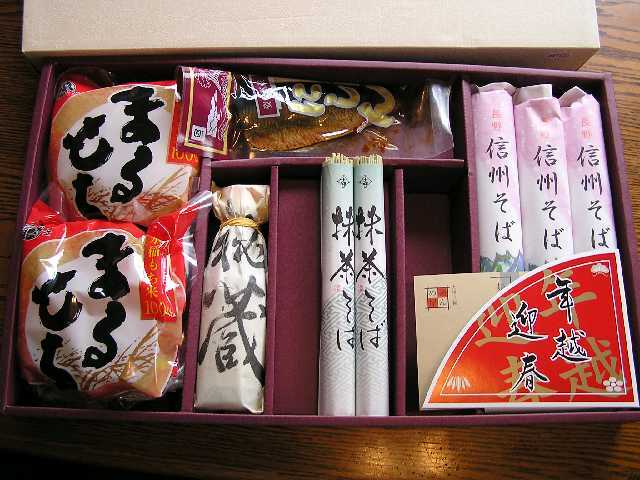 Each prefecture has its very own local product that can be purchase as an omiyage present. Omiyage could be an edible or collectible item such as a traditional or local hand craft. The purpose is to bring back an item that is only available at the place that you travelled to or is specific to that place. Hopefully by giving the item, the recipient of the Omiyage will have the opportunity to share an authentic experience from your trip. It also signifies that you remembered that person while on your trip and were courteous to bring something back for him/her. I am not saying that every single of us should follow all the rules and complex etiquette of the gift giving tradition in Japan. Your fellow Japanese friends might not really take it seriously and still appreciate your effort to following some of their traditions. But wouldn’t it be nice if you could follow the proper rules and etiquette of Japanese gift giving tradition before you decide to wrap a present and send it to your Japanese friends. They might be impressed with your efforts to respect their culture and they will most likely appreciate your present even more. Moreover, gift giving is said to bring people closer and build stronger relationships so why not make the other person happier by following the tradition he/she follows.